For any facial sculpting or highlighting, to create ideal facial framework. 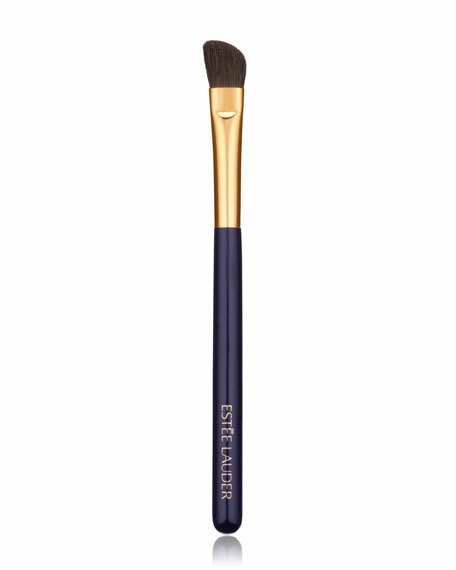 The tapered end allows you to shade the hollows of your cheeks or temples and highlight your cheekbones, nose or even the bow of your lip. 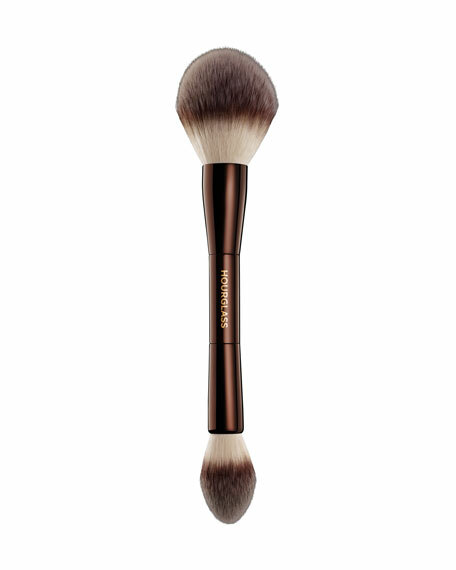 Use as a precision powder brush to avoid overloading the face with powder. It will deliver just the right amount of product to the T-zone and nose area. Is a must-have for a truly professional finish. 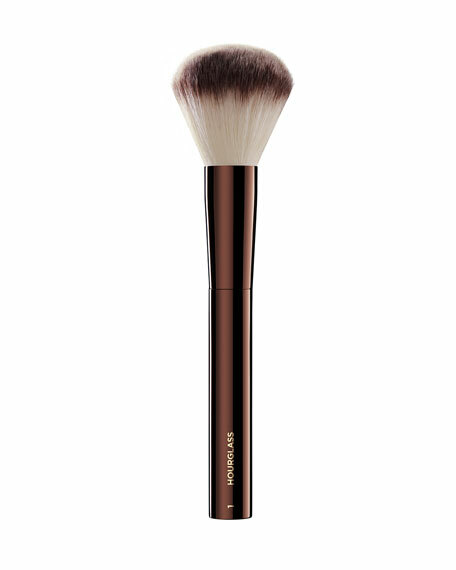 THE POWDER & SCULPT BRUSH is for facial sculpting or highlighting, to create your ideal facial framework. Delivers just the right amount of product to your T-zone and nose area. 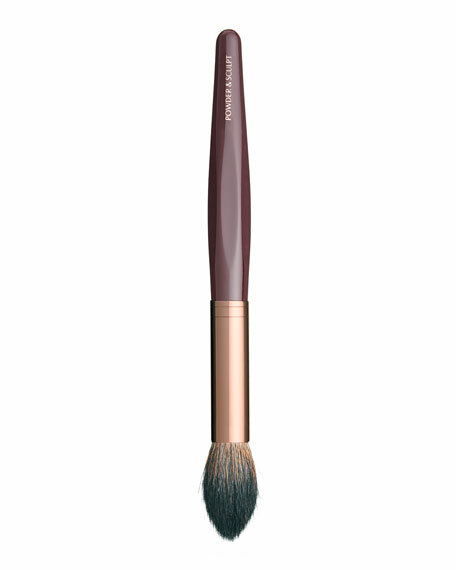 Artist-inspired makeup brushes expertly crafted by hand to be so easy to use they practically creating a functional but beautiful, luxurious range, in Charlotte's signature rose gold and night crimson colors. 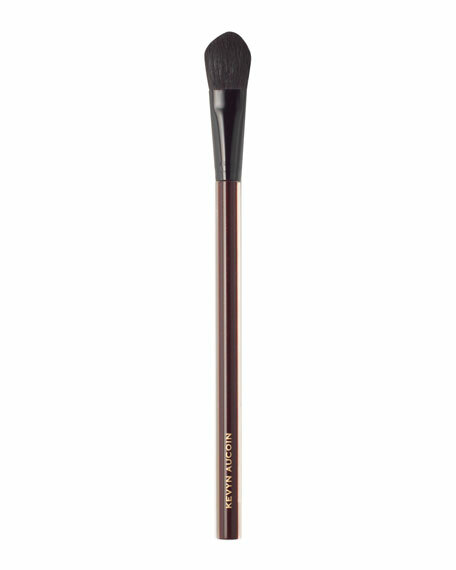 The maximum hair-count brush heads are hand-pulled into the perfect shape by a master brush maker in Europe. The sustainable wood brush handles are ergonomically designed to be easy to use and faceted to not roll off your vanity table, a trick used by artists the world over.